The top finishers in the new Minneapolis Marathon crossed the finish line with easy wins this morning. Thomas Tisell, 41, of St. Paul, was the first men's finisher. He crossed the line at 2:42:57, more than 15 minutes ahead of the second place runner, Gerad Mead, of Minneapolis. The women's winner was 29-year-old Jessica Pink, of Hopkins, who finished nine minutes ahead of her closest competitor. More than 1,500 runners turned out for the first running of the event. The race started in the city's Mill District, on 2nd Avenue. The course ran along the river up to Broadway Avenue, then looped back down to Fort Snelling State Park and back up to downtown Minneapolis. It finished right in front of the riverfront Guthrie Theater, to add a little drama to the end. The race started with clear skies and a temperature of about 49 degrees, close to ideal conditions. But a sunny day and the hilly West River Parkway along the Mississippi took their toll on the runners by this afternoon. 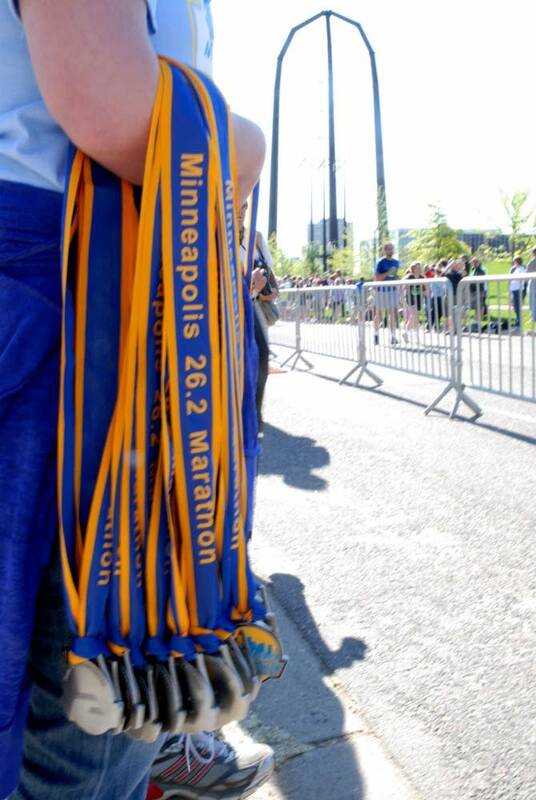 Kelly Bolin of Minneapolis was among the participants running the full 26.2 mile course. "It's going to be great weather," she said as she made her way to the start. "The last two I have run, this Twin Cities one, and then the Milwaukee one after that, it was the same day as a really hot one in Chicago. It was absolutely miserable. So I am looking forward to some comfortable weather for once." The marathon was the second of the spring in the Twin Cities area. The first ever Stillwater Marathon was run last weekend. 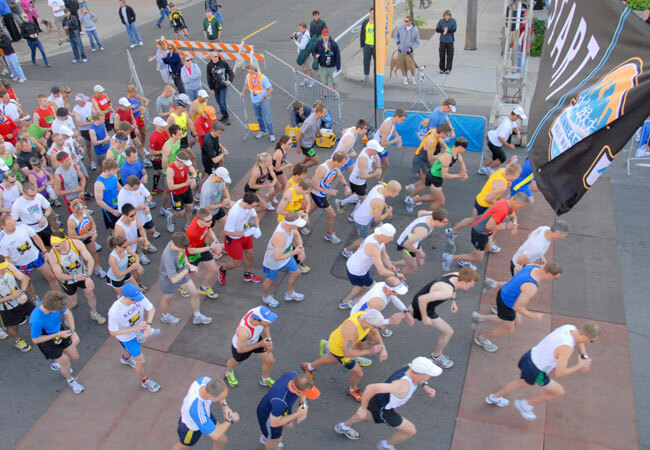 Minnesota's marquee road race, Grandma's Marathon, will be run June 20, and runners will return to the streets of Minneapolis for the Twin Cities marathon on October 4. .